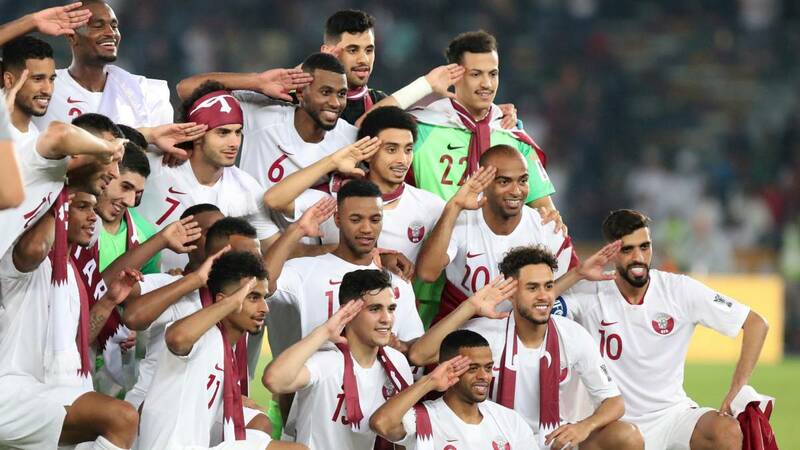 Friday’s Qatari success at the Asian Cup made for as big a satisfaction as any #AsianFootballPassionate could have possibly hoped for. It was a triumph of long-term planning; of a Middle Eastern country for once putting their faith in an unknown coach whom they’ve groomed for years; of proper team effort. Heck, we might be looking at the most dominant Asian champion of this modern era. And it might even shift the 2022 World Cup narrative a tad, at least as far as the “they’ve got no footballing history” bit goes. Yet, I am not here to blow my trumpet. I would be a hypocrite if I came on here to tell you I’ve had unequivocal belief in Qatar since the Aspire Academy project came about. No, I have not. I closely followed their 2014 Gulf Cup victory, but that somehow felt more like a fluke or a cinderella’s story than the beginning of an era, even if they were building on their maiden WAFF Championship triumph from the start of the said year. In 2015, apropos, my cautious optimism was as good as gone. Qatar bombed at the Asian Cup with Djamel Belmadi, the mastermind of 2014, very much forgetting what brought them their initial success in the first place. He lay the hastily naturalized and not-at-all integrated Trésor Kangambu and Mohammed Muntari over what had previously provided the goods, damaging the build-up and scoring potential of the team, while losing the ability to motivate the same team that performed three amazing comebacks at their golden Gulf Cup. He benched Khalfan Ibrahim and Abdulaziz Hatem for the crucial second game that turned into a second loss, setting Qatar up for a humiliating dead rubber. He scarcely used his talisman at the time Ali Assadalla; etc. It was bad all round. At that point, after three losses from three games, knowing all about Qatari potential, I was left wondering: are they continually going to shoot themselves in the foot like this forever? What if Belmadi was instructed to use Muntari and Trésor by the FA? And if so, the same thing was bound to repeat itself in the future, right? 2015 Asian Cup was simply a story of abdandoned foundations; of naturalizing foreigners just for the sake of it; of pure chaos on and off the field. Looking back, oh how far have Qatar come. Four years on, they won everyone over through superior organization, good old-fashioned teamwork, and some flair upfront. It took many observers some time to buy into this brand-new Qatar, mind – South Korea and Japan were still labelled favourites, even clear ones by some, despite hardly performing like it prior. Even directly before the kick-off, Qataris were treated to a frankly patronizing “underdog” labelling; John Wilkinson of Fox Sports, for example, suggested “a few” Qataris might not really be up for the final, as they’ve already achieved more than one had expected of them, and more than they arguably could’ve. This goes to show that Qatar, yet again, appeared too good to be true, but this time their story turned out to be a very different one: a golden run that turned many traditional narratives upside down, and it was genuinely beautiful to witness. Al-Annabi looked like a well-drilled club side for pretty much the whole tournament, which made sense since at one point, as many as eight Al-Sadd players shared the pitch. But it’s not that simple. They were executing a plan and nothing – bar Khoukhi’s injury in the final – seemed to throw them off their game. The way they kept switching between possession-based and counter-attacking football, all the while taking a breather in between. The way Assim Madibo was seemingly always there to sweep up behind his midfield partner. The way he and Boualem Khoukhi rotated to help out their centre backs with distribution from defence. The way Karim Boudiaf, over one game only, acted like a left winger, a no. 10, a libero and the central midfielder he was supposed to be, without ever damaging the structure. The way Abdelaziz Hatem was seen switching between the two sides of the pitch without looking out of place anywhere. The way Akram Afif and Almoez Ali hardly ever seemed too far from one other. The way Tarek Salman and Bassam Al Rawi complemented each other perfectly at the heart of the Qatari backline. Those are all signs of a well-gelled collective and point to the real genius of the tournament, being coach Felix Sánchez. In fact, it would be almost unfair to dissect those ultimate team performances and talk about individual efforts, right? Well, that’s exactly what I am now going to do, but for one reason only: this side, inevitably, features quite a few unsung heroes, who might’ve gotten “lost in translation” of the team’s collective success. And so I am going to highlight contributions of each and every player in and around the starting XI that caught my eye and indeed made this remarkable success possible, one by one, bit by bit. If there was one constant about Qatar in the recent past, it was the fun their goalkeepers were bringing to the table. Fun for neutral observers, maybe, heart attacks and often heartbreaks for Qataris themselves. From the notorious Qassem Burhan to Amine Lecomte, a French-born goalkeeper who somehow managed to perform even worse than Burhan in the 2018 WCQ without getting the same amount of credit… it was really a miserable parade. And Saad Al-Sheeb was, for a while, part of it. He looked shaky and always prone to a spill over whenever facing a long/mid-range shot in the early days. And so it’s good news he had a rather unspectacular, if not dull tournament. He was solid in the air and made all the routine saves seem… well, routine. As they should be. And at the same time, as they always haven’t been. I kept saying throughout the tournament that Pedro Correia was the weak spot of this side. He was all over the place for the best part of the Cup, overcommitting (once getting away with two yellow-card fouls), oddly timing his rushes out of the defensive line, not controlling the ball well enough, etc. But even he had a very fine, much more focused and organized final, putting all that stuff into the box tagged “irrelevant”. This guy, for me, is the unsung hero of this side. Together with Almoez Ali, he arguably produced the biggest number of short sprints, and more often than not he did so side-by-side with an opponent, courtesy of being the covering centre back of the two. And he faired admirably at that. Sometimes, Salman acted only like an annoying shadow that passively-aggressively forces you to do something uninspiring, at other times, he would pull off a well-timed sliding tackle or a simple poke. His skill set has it all, including crucial blocked shots. He’s a passenger in the build-up and overall likes to not stick out, but that’s not a bad thing in his case, not at all. Anyone who’s followed my ramblings will be aware I love myself a well-thought out, original comparison. And courtesy of Babak Golriz, there exists one for Bassam Al-Rawi – Fabio Cannavaro. It figures; while not being the tallest (checking in at just 175cm, about the same height as Cannavaro), Al-Rawi can dominate the aerial space with some properly assertive jumps. And his aggressiveness shows on the ground too, as he often steps out of the comfort zone and breaks the play further high up the pitch. At the same time, since he’s used to play in midfield too, Al-Rawi is of course very comfortable with the ball at his feet, often helping the build-up with some vertical passes and chipping in with some brilliant free kicks, like those against Lebanon and his birth country Iraq. With Al Haydos, he was one of the very few bright spots on the underwhelming 2015 Qatari team. I called him the true modern fullback back then, and he’d undergone some turbulent development till the lead up to this tournament, soon after the last Asian Cup deemed too offensive for a fullback and every so often deployed further up the pitch for the national team. Yet, after witnessing Abdelkarim Hassan over the last month, I don’t need to backtrack on my wording from 2015. He didn’t necessarily set the world alight in the UAE, especially looking a bit muted on attack, as he’d mostly underlap and help build from closer to the middle, but better yet, the reigning Asian Footballer of the Year now appears more complete than ever. His defensive play has matured so much; he no longer loses track of his man, often ends up being the lowest positioned defender and remains ever so strong in the tackle when it’s required. He used to be known for being “explosive” – Felix Sánchez instead made him more of a “solid” fullback, and that fits this Qatar’s needs just alright. It would be unfair to boil down his contribution to his two stunning strikes against South Korea and Japan respectively. His left foot is obviously pitch perfect; his inward delivery from corners also generated much danger. But so was his roaming movement across the pitch. He was quite often the first player to receive a pass from Bassam Al-Rawi, the ball-playing centre back, and so much of the build up depended on his decision-making. That didn’t hurt Qatar, as Hatem is capable of making a decision in a split second, and while his passing is not too crisp (some passes seemed a bit too hard or unnecessarily elevated), it did the job, making it tick at times for Al-Annabi from right-hand side as well as from the left. At first glance, he’s a Ngolo Kanté of this side, and he very much remains one after several following glances. At first, I thought it was too obvious a comparison to make given his stature and movement, but it has stood the test of time. In the semi-final, he once made two interceptions in the space of five seconds and about three meters apart. At times, he appeared to be exactly where he needed to be. He’s not quite as tidy in possession as Kanté, but when it comes to defensive duties, he’s incredibly tenacious. While obviously energetic, he doesn’t seem to get carried away, though, and seems very astute even when asked to defend in a bit more passive manner. As my colleague Martin Lowe said before the tournament started, the short but muscular midfielder is already well suited to European football, and he showed as much in the UAE. It would be no exaggeration to say Khoukhi has done it all for Qatar over the years. He’s been their chief goal scorer (2014 WAFF), their go-to solution at centre back when Bassam Al Rawi got suspended for the semifinal, and their most dependable, flexible midfielder. His awareness is really the best thing on him; he still has got those attacking instincts, but he also knows perfectly when it is suitable to push/stay higher up the pitch (like when he scored against the UAE, when he was nominally a centre back! ), and when to drop deep, even as far as essentially partnering Al Rawi, while Tarek Salman chases his winger all the way to the corner. An invaluable presence on defensive set pieces where Qatar generally lack height, too. Khoukhi is simply the communicator of this side, and in essence, the true captain, organizer of the team. The days when he was the furthest forward positioned central midfielder, impersonating the criminal lack of creativity down the middle for Qatar, were some dark days for the nation’s football. But there’s a reason why he has stuck around, as opposed to most other naturalized foreigners who appeared to have little use at times (think of Muntari, Trésor, Lecomte, Luiz Ceará… oh boy, this is some depressive journey down memory lane). With his versatility, Boudiaf now represents the closest thing to Khoukhi, and has carved out a niche as the stabilizer of this side. The moment Sánchez finally brought him on to plug the Khoukhi-shaped hole in the final, I knew Qatar were going to see the game out after all, having dropped too deep prior. Boudiaf is always measured on the ball and very positionally aware, as he’s at times switched between left and central midfield, central midfield and central defence, and attacking and defensive midfield. I have a love/hate relationship with this guy, and I suspect many others might, too. I still find it rather hard to get over how often he finds himself on the ground. Expecting an opponent’s lunge, he typically jumps prematurely and rolls around for way too long a time, not minding the game has just begun. While I had the feeling he talks with referees less than he used to, his general antics are hardly disappearing. He’s still a very cheeky boy, who’s there to annoy you, and with whom every game feels just a little bit longer. At the same time, of course, Akram Afif is a remarkable talent. It took him some time to properly settle into the tournament, but it’s very clear he just thinks the game on a different level to most. He assesses what’s going on around him so quickly that he’s able to make those little, alert passes that generate goals, while often not generating any praise or even warranting a mention. Most of his assists just sort of… happened. That’s an important development. At first, Akram Afif seemed like that kind of a flashy, mercurial talent who might crack under pressure, or end up doing fancy stuff just for the sake of it. Yet now, while he won’t ever be too consistent with his execution, he does appear to be an effective difference-maker. And his connection with Almoez Ali these days? He had assisted on just one of his goals prior to this Asian Cup, but during it, he helped to set up 5 of his 9 strikes, and I don’t even count his work before the Lebanon goal (essentially a second assist) or the ridiculously disallowed corner kick vs Saudi Arabia. “They are saying WHAT? !” he exclaimed in disbelief and proceeded to do some keepy uppies before putting an overhead kick past a visibly stunned Gonda. In hindsight, it feels quite surreal that Almoez Ali had been stuck with the “flat-track bully” caveat all the way to the final, but it made some sense. Even as he was about to break the old record of Ali Daei, he did go missing against Iraq and South Korea in the first two knockout rounds; two sole games where Qatar genuinely struggled to produce much offensively. As my colleague Martin Lowe suggested, Almoez Ali’s exploits are much dependent on his confidence, and I would personally broaden that by putting it down to “circumstances”. He’s very obviously at his best when exploiting free space, be it in between the lines or in behind the last defender whose back he ever so often runs off of. At the same time, though, while he usually roamed deeper at the U-23 Asian Cup last year, linking up with Afif, he didn’t seem too comfortable doing the same thing among seniors here. Ultimately, he had a stunning tournament and can’t be disputed as the best striker. After all, it’s not like Azmoun and Mabkhout didn’t have shockers against Oman and Qatar respectively. And there was so much to enjoy on Almoez Ali’s game anyway. For example, I loved his timing of pulling a hand break on a breakaway and either fool the defender to set up an easier finish (or a penalty, like against Saudi Arabia), or search for an arriving teammate. In the end, you cannot appreciate his progress enough. While Ahmed Alaa was the flavour of the week following the 2016 U-23 Asian Cup and was only used as a bit part here, Almoez Ali followed up on his own great U-23 campaign (both of them scored 6 in 6) with this phenomenal effort. And so just as he promised back in 2013 at the time of his Aspire Academy graduation via a now deleted tweet, he is indeed famous now. And most likely forever, too. It’s almost as if Hassan Al-Haydos is capable of performing only when others are not. In 2015, however miserable campaign it was for Qatar on the whole, Al-Haydos announced himself to the continent via 15 created chances and constant purposeful running. At Al-Sadd that very year, too, he would on many occasions step up to the plate when others were unable to and either win the game on his own or spur his teammates on by an individual moment of magic. Here, in the UAE, he was a mere sparing partner to Akram Afif and Almoez Ali, while appearing weirdly hesitant. He became entangled with the ball under his feet on multiple occasions and didn’t seem up to speed with the many counter-attacking opportunities. While he was a tad more effective when shifted to the left wing, the captain still clearly wasn’t himself.